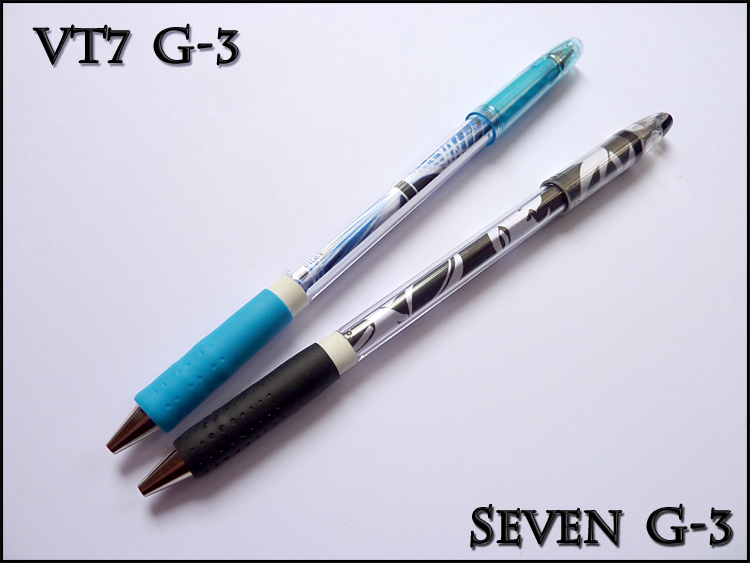 I share you a seVen g-3 mod, with legit color and my personal seven g-3 mod. It’s made by the same way than the original, I’ve just changed metallic gel tip by a plastic G3 tip, Pilot frixion cap instead jimnie cap. My personal g-3 is 19.5cm for 14 grams. Almost like flare vain g-3. Share the post "Seven g-3 & personal 7 g-3"